Meet the Xbee, which Suzuki says is pronounced “Cross-bee,” though I think “ecks-bee” is better. You can prounounce it however you like, of course. 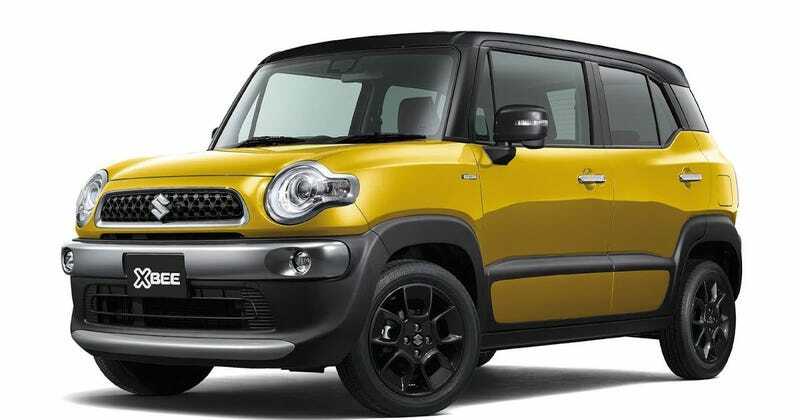 Suzuki had previously shown off concept versions of the car at Tokyo earlier this year; they announced on Christmas that the mix SUV/wagon you see above would hit the market. It’s fairly cute, of course, and intended to be used for outdoors-y stuff like camping and skiing in addition to ordinary city driving. Suzuki does not say exactly what the dimensions are, but given the size of its engine, a 1.0-liter direct-injection turbo, combined with a hybrid system, you can expect it to be diminutive. What else does it have? Sport and snow modes for the four-wheel drive versions, in addition to something called Grip Control that, “supports starting on muddy and slippery roads” and Hill Descent Control, which “maintains vehicle speed at 7km/h when descending on steep downhill,” according to Suzuki. 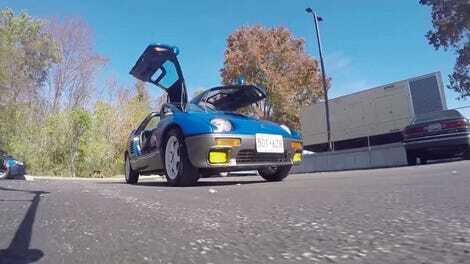 Like many a Suzuki that we love but can’t have, the Xbee will be for the Japanese market only. How much will it set Japanese consumers back? According to Motor1, 1,765,800 yen (around $15,600) for the base model, and 2,145,960 yen (around $18,925) for the best four-wheel drive version. Will This Suzuki X-90 Be Your Perfect Purple Purchase?